Swedish Princess Madeleine and her children, Princess Leonore and Prince Nicolas, were seen in Hyde Park downtown of London. 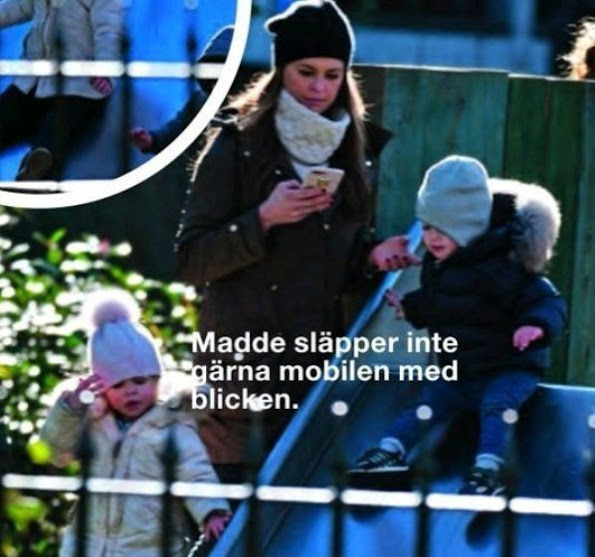 Princess Madeleine wore Alice by Temperley Honeycomb Turtleneck Tunic. Uggh. Ms. Electra, I hate kid pap pics but I am telling myself that you love this parka and sweater combo as much as I do! That sweater also takes the place of needing a scarf. Practical when having to deal with the children.